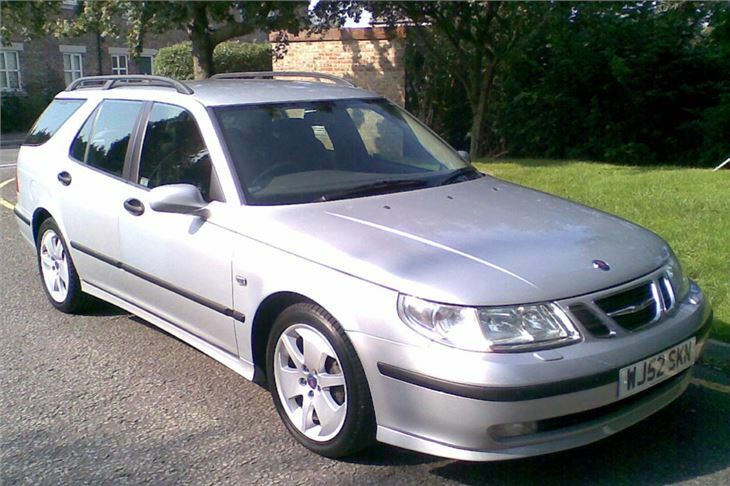 SAAB 9-5. Zero to 60 in 6.5 seconds. Top speed 155mph. Combined fuel consumption 32.1mpg. CO2 emissions 209g/km. BIK tax 2002-2003: £2,658.72 at 40%. Doesn't read like a Vectra, but it's amazing what you can do with one. 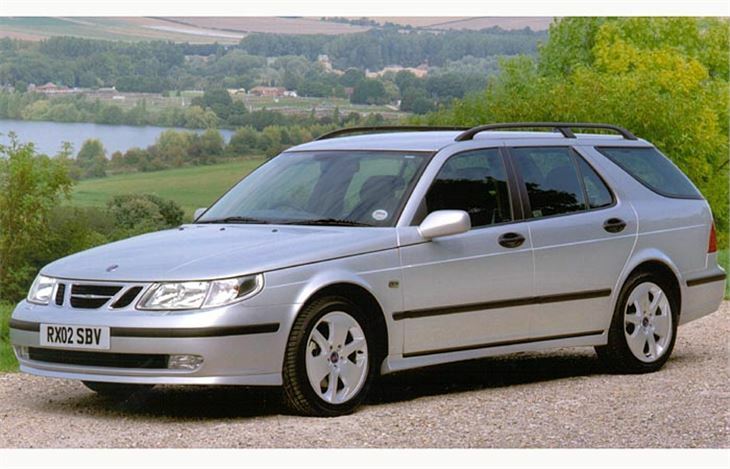 In fact SAAB has now all but completely thrown away its 9-5 model's Vauxhall Vectra underpinnings. The car's suspension, that used to serve up understeer by the urn, now dishes it out in nouvelle cuisine portions. It's still there, of course, but it's not nearly such a dominant feature of the menu. 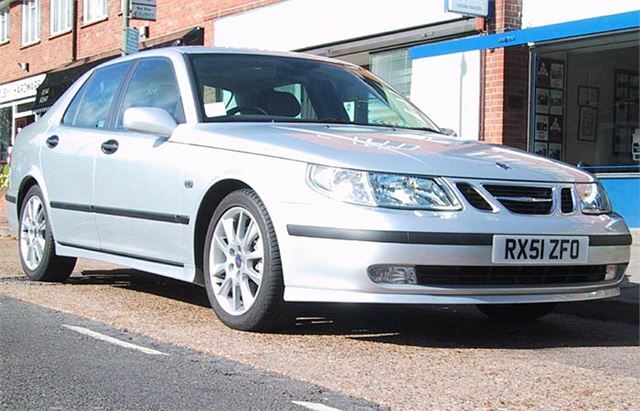 With 1,200 improvements to the car, SAAB's engineers have obviously been working a lot longer than nine to five. 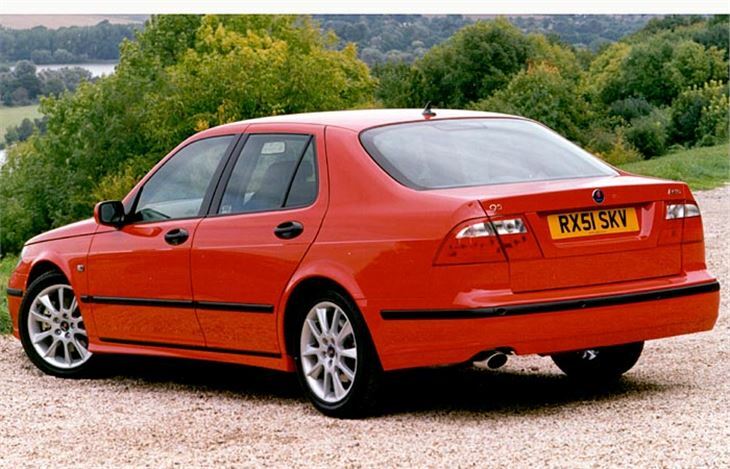 They see it as a competitor to the BMW 5-Series and the Merc W210 E-Class. But because it doesn't carry the obvious status of the German machines it has to out-class them in other ways. Like performance. 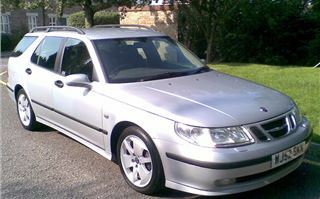 Even the cheapest 150bhp, £21,395 2.0t, gets to sixty in nine seconds flat and storms up to 134 on the autobahn. The 185bhp £22,595 2.3t does the sixty sprint in 8.2 and carries on to 140mph. Even the 176bhp £24,495 diesel does the business in 8.9 seconds and tops out at 131. And, of course, the SAAB manages it all more safely than any other car because the 9-5 is the all-time top scorer in the Euro NCAP crash safety tests. Every model in the range has the three As: ABS, Alloy wheels and Aircon. The fourth A, a five-speed automatic transmission, is an extra £1,240 on the four-cylinder petrol turbos and part of the package on the V6 petrol. 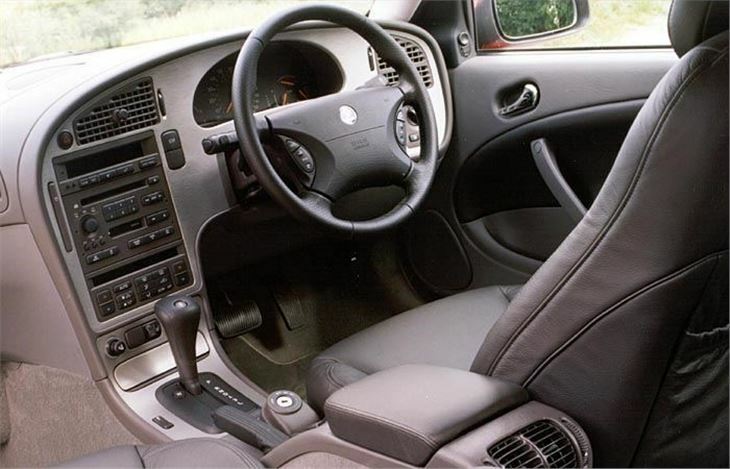 Front and side airbags and SAAB's active head restraints are standard on every model. 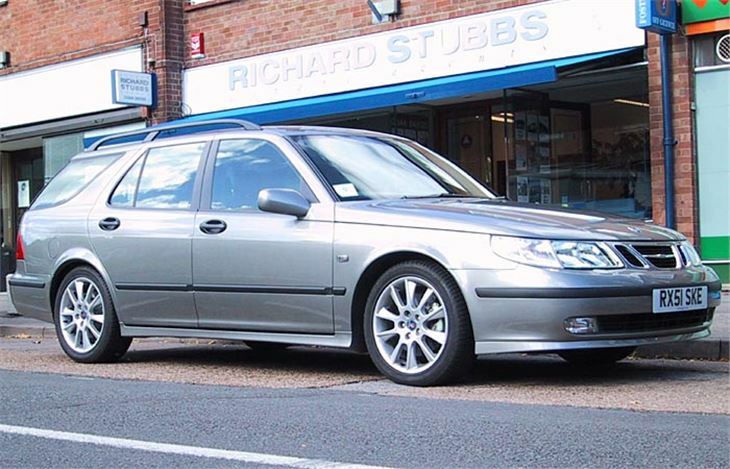 All have single-slot CD players, headlamp washers, leather-covered steering wheels and electric windows front and back. There is a long list of optional kit, but all you really need to add to the base models is traction control at £375. Adding the autobox spoils some of the fun because, though it's a 5-speeder, it has none of the steering wheel push-button override you get in an Audi or BMW. It's quite well behaved left to its own devices, though, holding gears right up the rev range and neither becoming indecisive nor making the wrong decisions on corners. But I’d save my money and go for the manual any day. The 9-5 diesel is GM's first recipient of its all-new direct-injected V6 diesel. 176bhp, no less, just 197g/km CO2, and a monster 258lb ft (350Nm) torque from 1,800 to a high-for-a-diesel 4,000 rpm. This means no fall-off of as the revs rise, and you can also leave it in 5th if you want to, even while ascending quite steep hills. With its quick 0-60 and high top speed you get similar on-paper performance to the 2.0t, with much greater flexibility and caravan-towing torque. But the main reason for spending the extra £3,100 over and above the 2.0t is seven more miles to the gallon on the extra-urban cycle and six-and-a-half more mpg combined. You'll have to go a long way to justify this, but if a lot of your work is in mainland Europe where the petrol/diesel price difference is greater, then it would make more sense. And if your idea of a holiday is towing your house behind you, then this diesel is the way to go. Last, but far from least, the base model 2.0t doesn't disgrace itself. It's quick enough, it now handles well enough, it's comfy enough and it's safe. 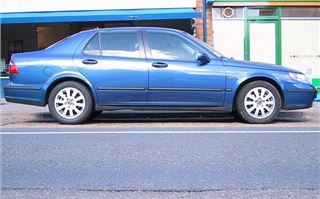 Strangely, it puffs out more CO2 than the 250bhp 2.3HOT, but a 40% taxpayer will pay £2,225 BIK tax for 2002-2003, saving him or herself £434. 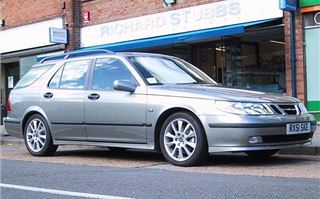 Another model, the 200bhp petrol V6 turbo automatic, soldiers on but is difficult to justify on any grounds. It's dearer than the 250bhp 2.3HOT automatic, its performance is worse, its fuel consumption is greater and its CO2 emissions are heavier. So why bother? 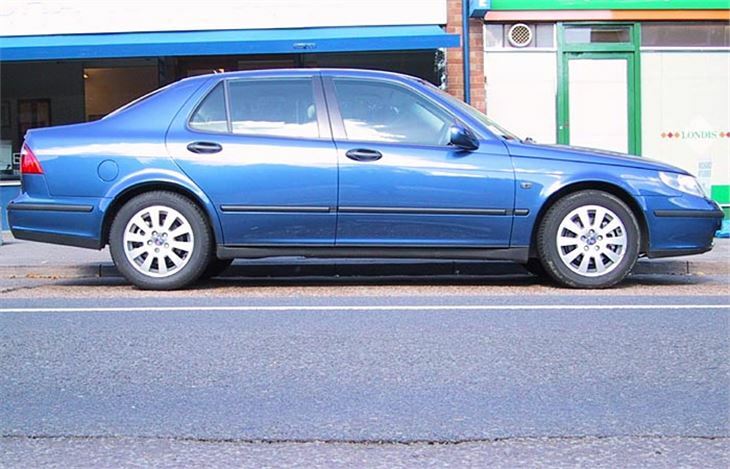 All 9-5s are available either as four-door saloons or, for an extra £1,200, as very practical, very safe estate cars. But note that the estates are slower, thirstier and emit more CO2 than the saloons. 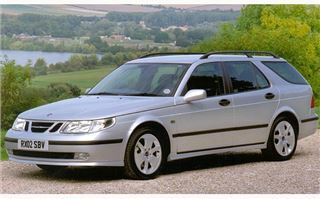 SAAB now offers four different trim levels based on architectural terminology: Linear, Arc, Vector and Aero. Linear equates to standard, Arc is wood-trim, Vector and Aero are sporting. Obviously no one was thinking of the car's humble origins when they cooked up the name 'Vector'.